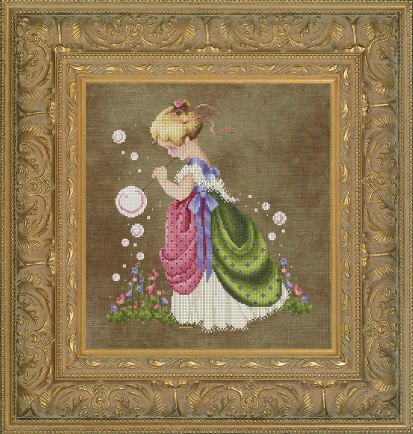 This new one has a girl in a garden blowing bubbles of hope. It's sweet and quick to stitch. 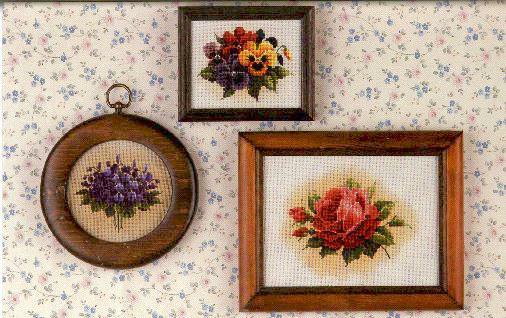 As the cold winter days approach, thoughts of hope and the promise of colour will give stitchers visions of spring. The bubbles are the sign of hope, and they fall softly onto the flowers. Her dress has easy to change colours. This two-sided chart shows how to create several versions. 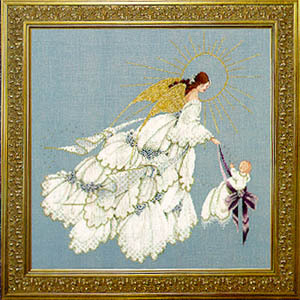 There are options for the angel holding a baby or leading a young boy or a young girl. 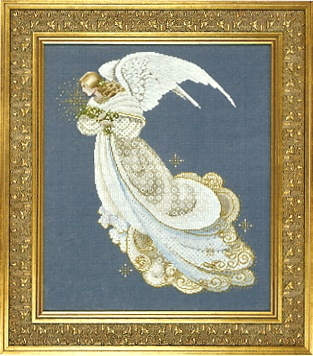 The Angel has long auburn hair that floats between her wings. 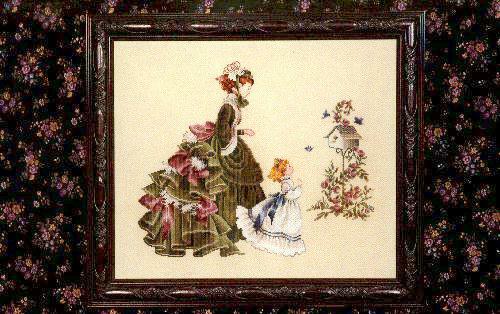 Her gown is edged in white lace and gold scalloped edges with clusters of blue roses. You can personalise the children shown in the pictures. The colour of the baby's ribbon can be changed as desired, and the colours in the little boy's sweater can be changed to school colours or any other colours desired. 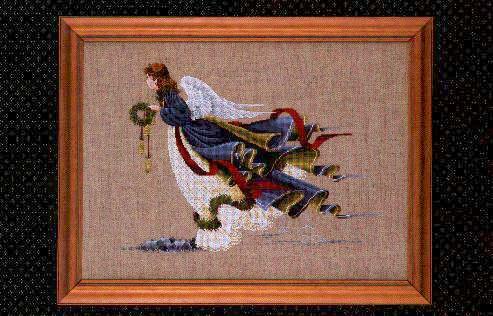 The angel can also be stitched alone. 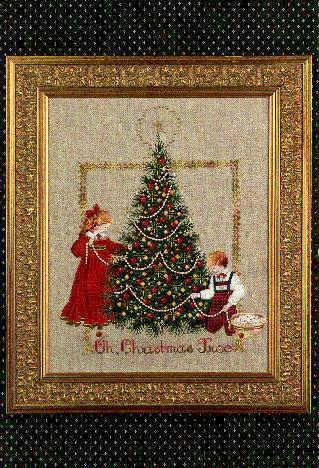 Victorian children dressed in red decorate the tree with cranberry and white beads. Viloets - 3½" x 4"